Bath have signed former London Irish prop Max Lahiff from Melbourne Rebels. 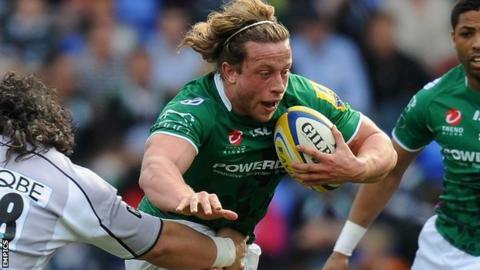 The London-born, Australia-qualified 25-year-old is set to make an instant debut by playing a part in Bath's LV= Cup match against Harlequins at The Stoop on Saturday. Lahiff, who qualifies to play for Australia through his father, joined the Rebels at the end of the 2013 Premiership season. But he has returned to England after a season of Super Rugby down under. He also spent time playing in New Zealand for the Hawke's Bay Magpies. Max Lahiff, who joined the London Irish academy in 2009, made over 60 appearances for the club. "Bath are a hugely talented, ambitious club," he said. "I know that it is a great opportunity for me to keep developing as a player." First team coach Neal Hatley added: "Max is a very talented young prop. He is technically really good and offers a lot around the field as well. He'll really fit in with the style we are striving to play here at Bath."